I wanted to spend a little time trying several different masking methods, just for my own amusement, and also so that I'd have some samples on hand to help me make decisions on future projects. 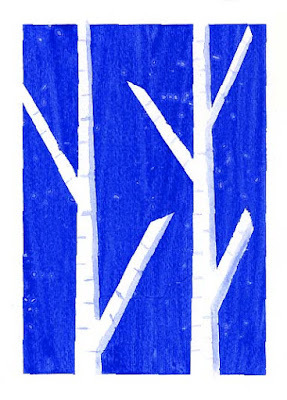 I decided on a design, some simple birch trees, and three methods I wanted to test. 1. 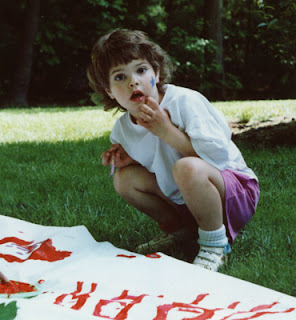 Wet paper, add paint and salt, add foam-core shapes, weigh them down and allow to dry. 2. 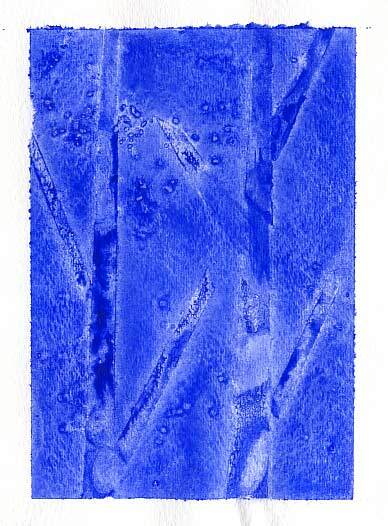 Wet paper, add painter's tape shapes, add paint and salt, allow to dry. 3. 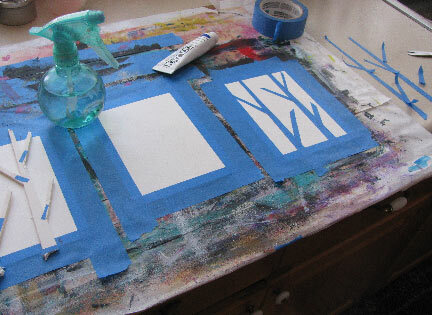 Leave paper dry, add painter's tape shapes, add paint and salt, allow to dry. Method 3, shown above, leaves you with the crispest lines. I added the shadow and bark markings. But I actually liked Method 1, shown below, best overall for it's unpredictability. 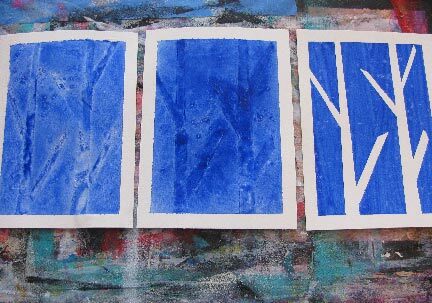 Method 2, not shown, was ok, but the trees turned out very dark as the tape on top of wet paper drew in and held the color. All three methods are useful, depending upon your desires. I would suggest doing some little experiments like this yourself when you're between larger pieces and want a little fun! I agree with your choice...I like the subtle look to that piece....cool!